The Delhi High Court lawyers today abstained from work protesting the recent attack on the properties of two senior advocates. NEW DELHI: The Delhi High Court lawyers today abstained from work protesting the recent attack on the properties of two senior advocates. The executive committee of the Delhi High Court Bar Association (DHCBA) yesterday passed a resolution condemning the January 9 and 22 attack on the properties and cars of senior advocates Vikas Pahwa and Kirti Uppal, who is also the President of DHCBA, by using inflammable substances. The association said the lawyers are completely refraining from work and only proxy counsel appeared in the courts to take dates in the cases. "There is a complete ban. No advocate appeared in courts and no evidence was recorded in any case. We are holding a peaceful protest and have removed our bands. The bar is also preparing a writ petition seeking an SIT probe into the incident," Pahwa, a member of DHCBA executive, said. Lawyers said many of the judges have also left for their chambers and all the shops in the court complex are also shut following the bar's call. They said even though FIRs were lodged, the approach of the police "looked lackadaisical and deliberately protracting" and it was not giving proper attention to the matter. Pahwa had yesterday said these acts were being done to terrorise advocates to refrain from performing their professional duties but they will continue with their work. The lawyers claimed that a similar incident also took place on January 4 when the two cars-- Maruti Swift and Honda Amaze-- parked in the east Delhi house of advocate Ravi Sharma were torched by unidentified persons. 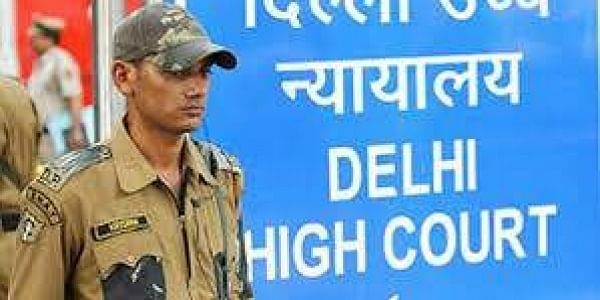 Separate FIRs have been lodged by police which said the three lawyers were representing a woman colleague in Delhi High Court in a property dispute with her relatives. The woman lawyer, against whom a stalking case was lodged, was also allegedly dragged out of her residence by the police to arrest her despite court orders against coercive action. Police said attempts to set ablaze Pahwa's Greater Kailash office building and cars were made on January 9. On January 22, Uppal's Hyundai Tucson car that was parked outside his house in south Delhi's Nizamuddin West, was set on fire by unidentified miscreants.